Made a mountain of these for an event yesterday. Held back a few to try out a new printable recipe posting and archiving tool. Well that, and also for a little “brownie brunch”. Hey, it’s the weekend, right? Have a good one! 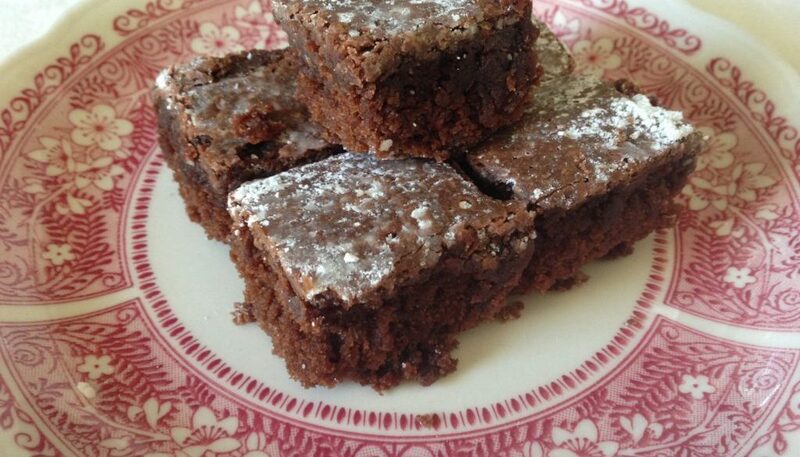 Yummy, moist brownies that are quick and easy to make. 2 tsp Vanilla extract The real extract is best. Servings: Depends on how you cut them! Pour into an ungreased 9" x 13" pan. Bake at 350 degrees for 28-30 minutes, just until the center firms. It helps to keep an eye on things the last minute or two so they don't over bake. Let cool a bit, and spread, with the back of the spoon, one heaping teaspoon of powdered sugar for a starring role as topping. Ice cream and hot fudge on top of one of these brownies makes for a 5-star restaurant dessert! Great recipe.